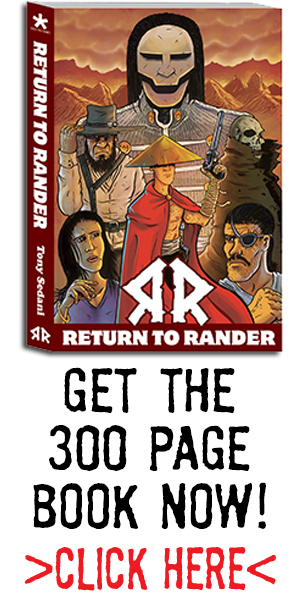 Welcome to the 50th Sunday in Rander post! It feels like yesterday that I started doing these posts. 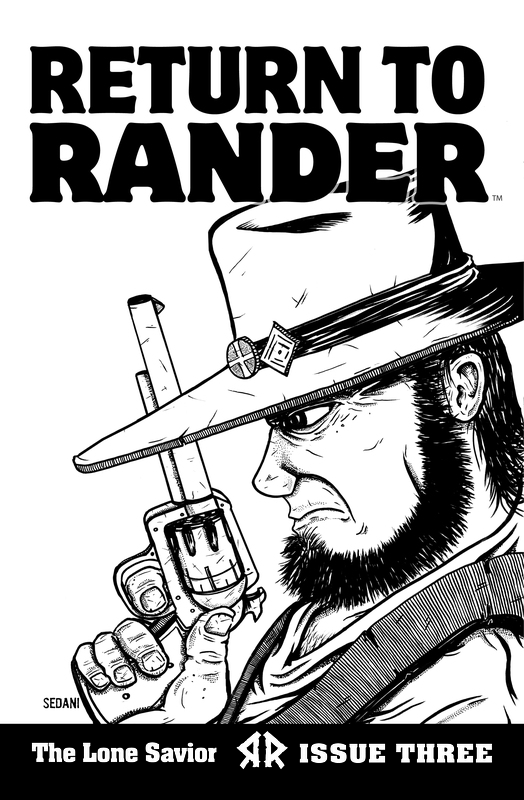 Well, I wanted to share something special, so here is the black and white artwork for Issue #3, coming soon to a comic store probably not near you. As you can see, Blane is on the cover of this issue. I wanted to make something simple and reminiscent of desperado. The very talented Jesse Munoz will be doing colors for it, so once that is done, I will share. Till next time, take care! So to wrap things up on the redesign project with the stock pile crew, I have redesigned a character of my choosing. 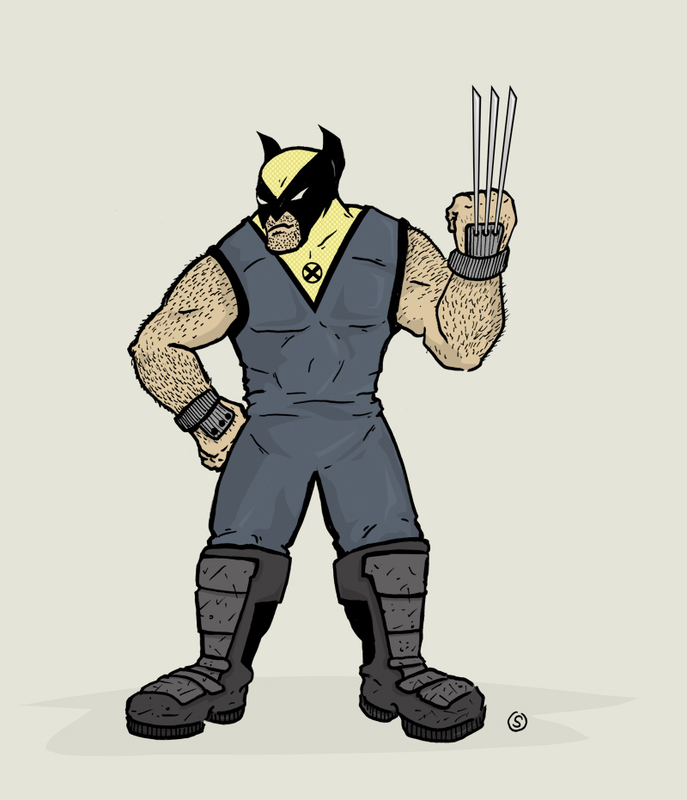 After messing with the colors for the Whizzer, I really liked them, and wanted to test them out on a new simple costume for Wolverine. Not much to say otherwise, I made him short and burly, and got rid of any kind of belt. Removed his gloves, and exposed his arms. Why? Because I needed to make an X out of his overall design. fashion over function bub! Peace! 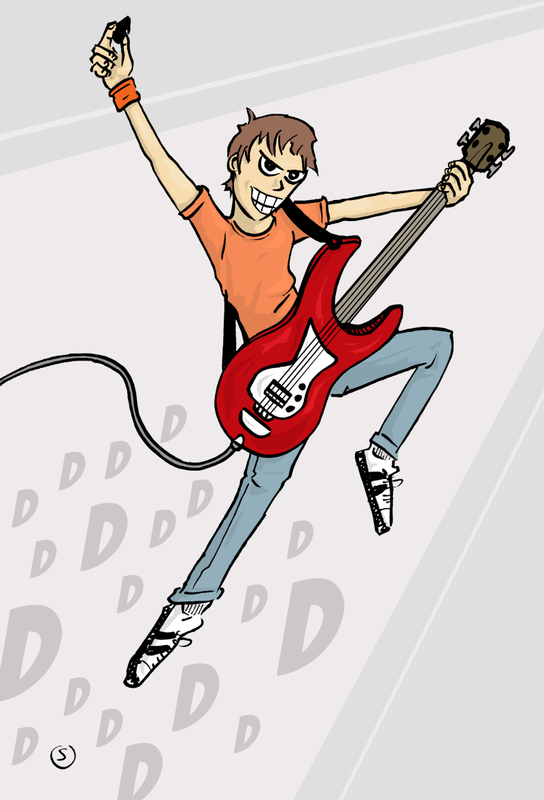 Hey all, I redesigned Scott Pilgrim. I gave him an orange shirt! Rock on! 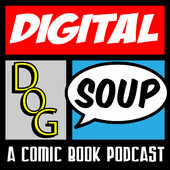 Hey all, I wanted to let you know that my buddies Joel Lolar Joe Daxberger and myself have started a comic book themed podcast! It’s free to listen to and you can find it on itunes. HERE! We have reoccurring segments, comic reviews, movie news, and special guests! Please take a listen and share with your friends and enemies! Welcome to the 49th edition of Sunday in Rander. This week I bring to you an important moment in Return to Rander history. Sit back and enjoy 8 new panels of story! Come back next time for a big 50th post! Tony Sedani back again for another redesign. 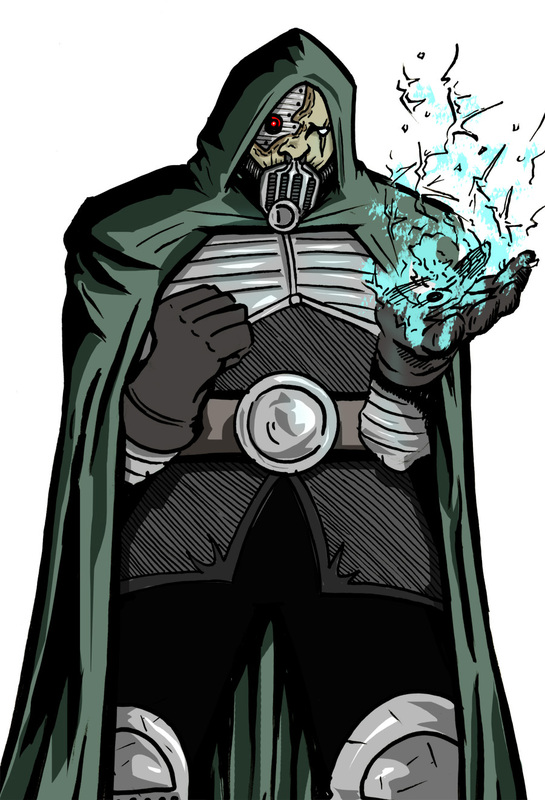 Jesse Munoz, so casually requested me to redesign Dr. Doom. Oh that sounds easy! Wait, what!? The Kirby creation of Doom! It’s impossible. Kirby is King of Comics, how can I even attempt? Well I did. I personally think that Dr. Doom is one of those characters who’s look is so damn iconic that it’s hard to improve on it. I took this challenge as if someone asked me to design a character with his characteristics. I felt I needed to take away the mask to set myself apart. I wanted a terminator look part machine part man. Obsessed with his look, he goes to far into trying to fix himself that he becomes a horrific monster. I left the classic green cape to tie it to classic Doom. 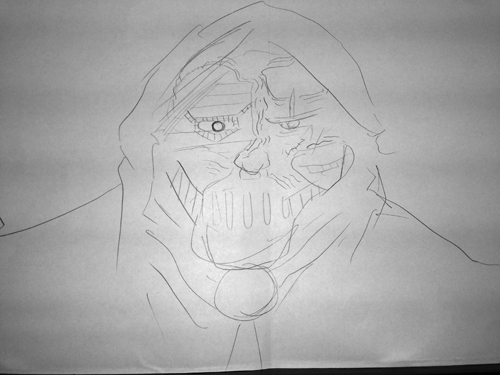 I wanted to keep my doom scary looking, you could drape his face in shadows alot and have the red eye glowing through. 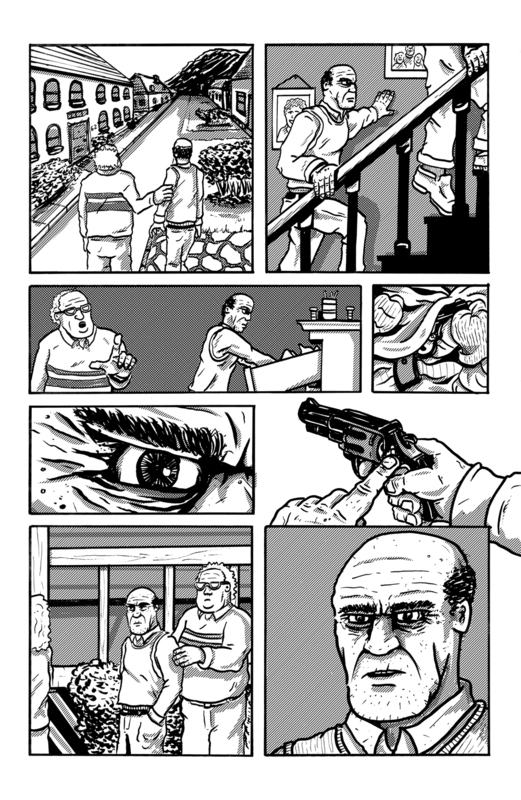 Another page from the short story “Thy Will Be Done” written by Mick Schubert. 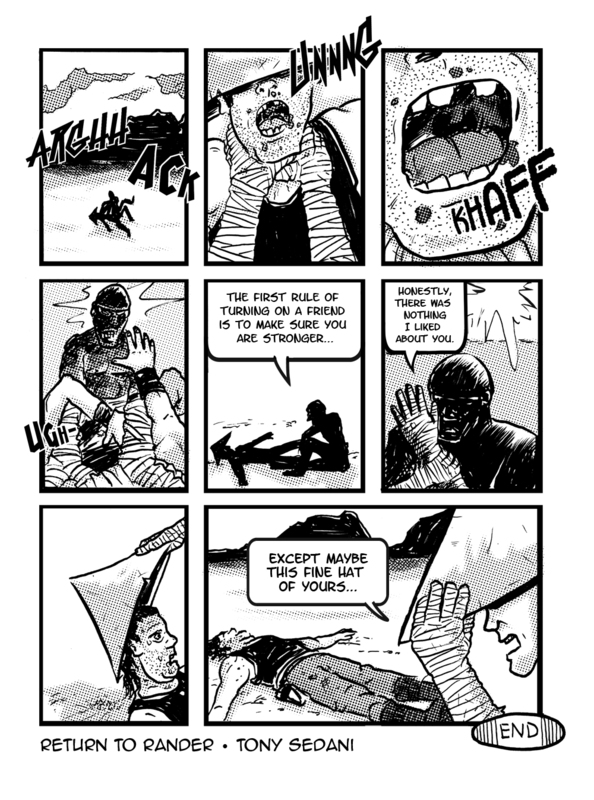 It was included in the Memoirs of the Mysterious Kickstarter comnic. It will be available soon on comixology for anyone who missed it.